I finally got my engine so I am one step closer. 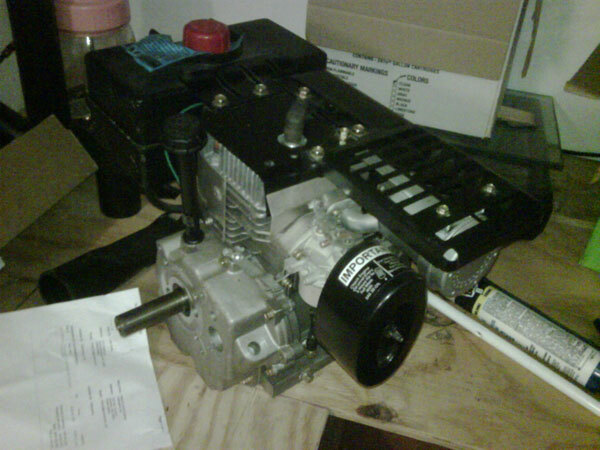 I did decide to vary from the “official” Cycle Karting Specs, by deciding to use an 8HP Tecumseh Power Sport engine. This is the wrong engine, but I decided since I don’t have a bunch of other Cycle Karts to race, I would cheat. I intend to throttle back or swap in a 6HP if I ever get to ride with a proper Cycle Kart. I did purchase steel as well and have started working on the front end and suspension of the cycle kart.